This Champagne Gold Coloured Silver Plated Copper Wire is ideal when you want to add warmth to your jewellery makes, without the harshness of yellow gold. The wire is composed of a copper core covered by a concentric silver plating, engineered to resist tarnishing and can withstand a variety of wire working techniques. 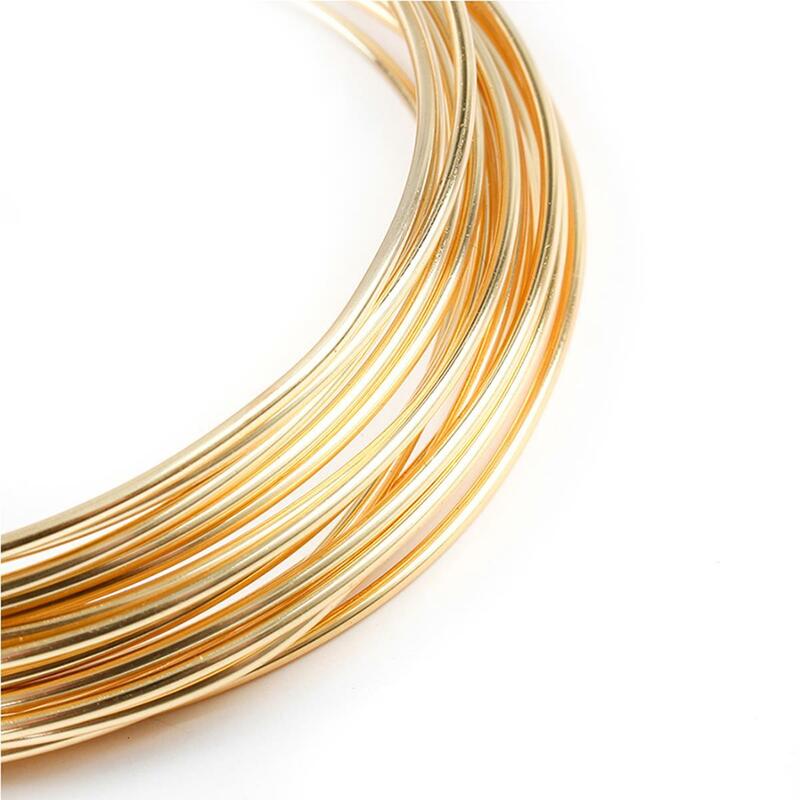 On a 6 metre reel, this 0.8mm thickness wire is particularly suitable for wrapping heavier, chunkier beads, wire jig work and is also ideal for creating jump rings, loops and pins. 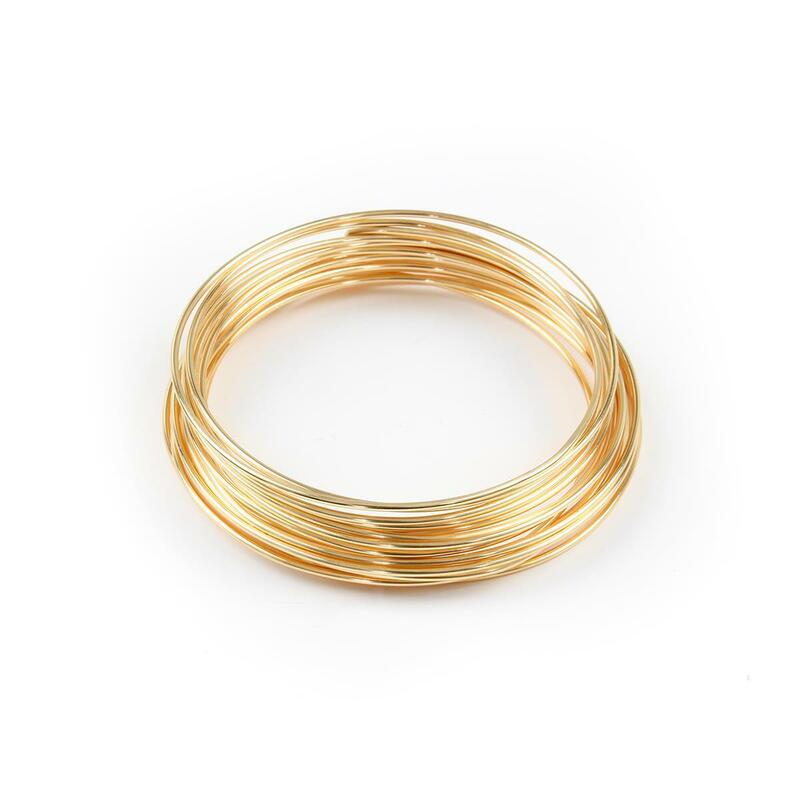 Add this JewelleryMaker staple to your stash today! Love this first time I have used it. Good quality. .good price . This item is such a lovely soft colour it could be used with anything. The wire were the right colour and size! Good quality as well. The Champagne colour peels off easily and the silver shows through. Unfortunately I had used over half the roll before I noticed this so can't return it. All the other wires are great though, so maybe I just got a bad batch. As above, surface coating comes away very easily. I've been wireworking for years with jm wire and this seems to 'shed' its champagne coating very easily with the slightest touch of the pliers. If you can only use fingers to manipulate then it's beautiful. Good to have a different colour in my stash. Thank you for taking the time to respond to our request for feedback. We are really very sorry the Champagne Gold Coloured Silver Plated Copper Wire has developed a fault, please kindly return the reel to us and we can issue you with either a replacement or a refund, if the item is deemed faulty at inspection you will also be reimbursed with the returns postage. Please get in touch with our Help Team should you require any further assistance in the meantime. Not yet tried but love the colour and quality and price.